If you love Maasto partly for its dog-friendliness, be sure to find everything your 4-legged trail partner needs at Erickson’s. They supply all your livestock, lawn and garden, and pet supply needs! You won’t find a bigger selection of pet supplies for 100 miles! Comprehensive eye and vision wellness services. And, they ski and snowshoe! General dentistry for adults, seniors, and children. We believe that gentle comprehensive and preventive dental care can help you, no matter what your goal. And, we support the trails! The area’s best Nordic ski shop. Plus an excellent variety of outdoor clothing, gear, and accessories. A silent sports fan candy land! What ever kind of biking, skiing, water sport, or outdoor activity you need gear for – you’ll find it all here. Be sure to check out “Second Wind Sports”, for gently used consignment items, in the shop’s lower level. We’re proud to again have the support of Hancock’s university. We look forward to an ongoing partnership to support outdoor fitness and recreation for FU athletes, students, staff, and employees. Go Lions! We know these guys because they sold us our Kodiak ATV, and they’ve always given great service for our hard working grooming tow machines. Looking for alpine skis or a snow bike to add to your winter fun? Be sure to stop in! Who hasn’t shopped here for a great used vehicle? For 30 years, we’ve been able to depend on these guys for our auto needs. Need service, new tires, a new vehicle? Stop by, or call 906-482-7988. Our area’s top whole and natural foods market. For a perfect winter day, we recommend a long morning outing followed by hot soup from the deli…and of course a home baked goodie for your reward. Watch for their decadent treats at the Glide N Gorge each spring! Winter driving got you down? Martin Custom & Collision is your best choice for all types of auto body and collision repair. These guys are experts in all types of collision repair and will take time to answer any questions you may have about the cost or process before work begins. Love the restored oldies? A countless number of classic cars and trucks have been turned from dream car to reality here. When you cross any bridge in Maasto or Churning Rapids, or gaze and a map or sign, think of this fine lumber yard. Top notch service and products! Our trail users with 4-legged friends will be glad to know that our 100% dog-friendly trails are supported by 100% dog-friendly Northland Vet! E xcellent service, quality, and value. Not sure how to get your project to look just right? The crew here will know just what to do. 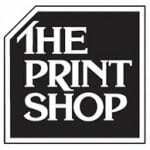 When you look at our maps and signs, think of The Print Shop. Nothing is too big for them to ship! A part of the Copper Country business community for over 20 years, The Shipping Shop offers a variety of services and products. Tired of the box stores and lack of knowledgeable staff ? 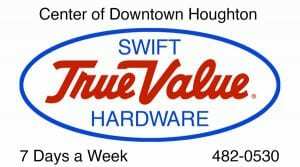 Come visit a real old fashioned full service hardware store that can help you resolve any of your home, do it yourself, or hobby needs. IE Swift has been a proud member of the Copper Country community since 1880. 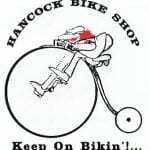 132 years and still going strong! Located right here in downtown Hancock, stop in to speak with a friendly agent about your insurance needs. As an independent insurance agent, Tervo has unique access to more insurance companies regardless of whether you’re seeking personal insurance or business insurance. Meeting your insurance needs is their number one priority, and right up there is supporting the trails.